A spray foam roofing system is characterized as a a fully-adhered and seamless monolithic layer – one that can combat high winds that can lead to blowing your roof right off, even during natural disasters such as hurricanes and tornadoes! A spray foam roof simply provides greater uplift resistance because it is all held in place together without fasteners, meaning it is completely attached to the roof deck so there are no weak points in the roof or particular areas are less susceptible to wind uplift than others. Because the system is seamless, wind has a much harder time penetrating the roof system. Also, because the foam is spray-applied it adheres and seals off any protrusions or special features of the roof system. They become part of the system, which means that pipes, ledges, parapet walls, etc. only add rigidity to the system instead of weakening it, thus adding greater strength to the roof from wind uplift. In conclusion, it behooves home and business owners to consider having a spray foam roof if they are located in area where high winds are a factor. SPF roofing systems have exceptional wind uplift resistance. Field observations of SPF performance during hurricanes Allen, Hugo, and Andrew led the industry to conduct laboratory testing of SPF systems at Underwriters Laboratories and FM Global. Imagine UL’s surprise when SPF’s wind uplift resistance actually exceeded the capacity of their equipment. UL also observed SPF roofs applied over a built-up roof (BUR) and metal increased the wind uplift resistance of those roof coverings. FM’s testing showed similar results for concrete, metal, and wood. 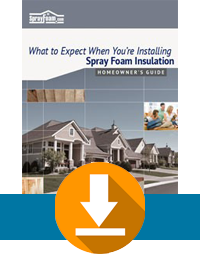 Along with the research conducted by Underwriters Laboratories (UL) and FM, organizations such as the National Institute of Standards Technology (NIST), Roofing Industry Committee on Weather Issues (RICOWI), and the Spray Polyurethane Foam Alliance (SPFA), among others, have all documented evidence of spray foam’s ability to provide protection from severe weather like tornados and hurricanes better than most any other roof system. UL’s test results show that when spray foam is applied to steel and plywood assemblies, the assemblies demonstrated uplift load resistance that exceed the limits of the testing equipment. “The application of Sprayed foam to steel deck and plywood deck demonstrated uplift load resistance up to the capacity of the test equipment to develop load (160-165 psf) without any sign of elimination or other damage to the foam.” – Underwriters Laboratories, Inc.
NIST published a report focusing on the damage from hurricanes Katrina and Rita. The research found that SPF roofs were the only type of roofing system that performed “extremely well” during the disasters. The report also described how SPF roofing withstood Hurricane Katrina’s winds without tearing off or damaging flashings.